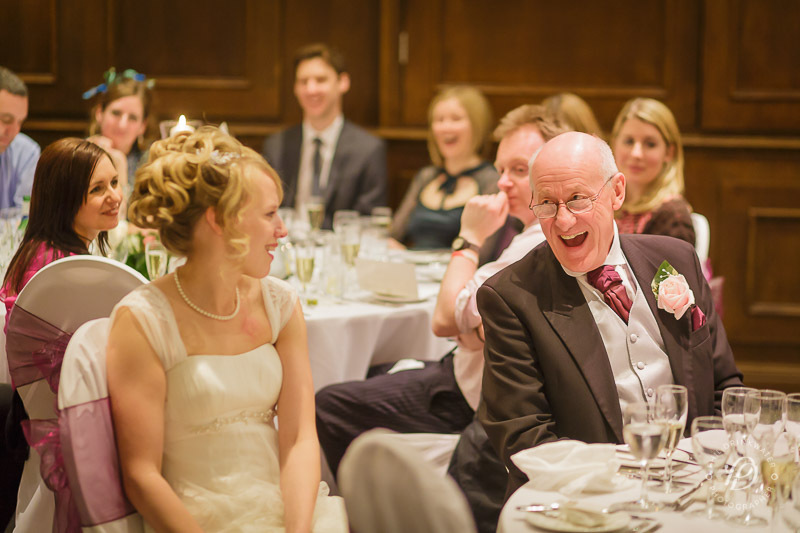 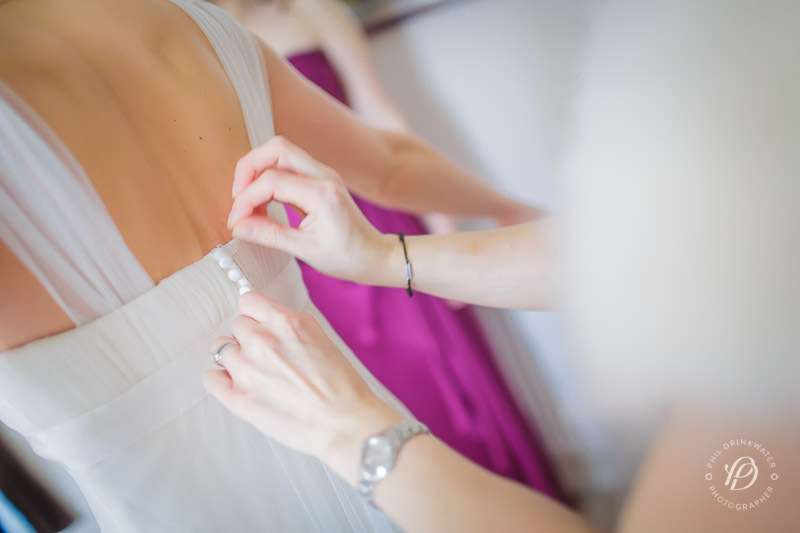 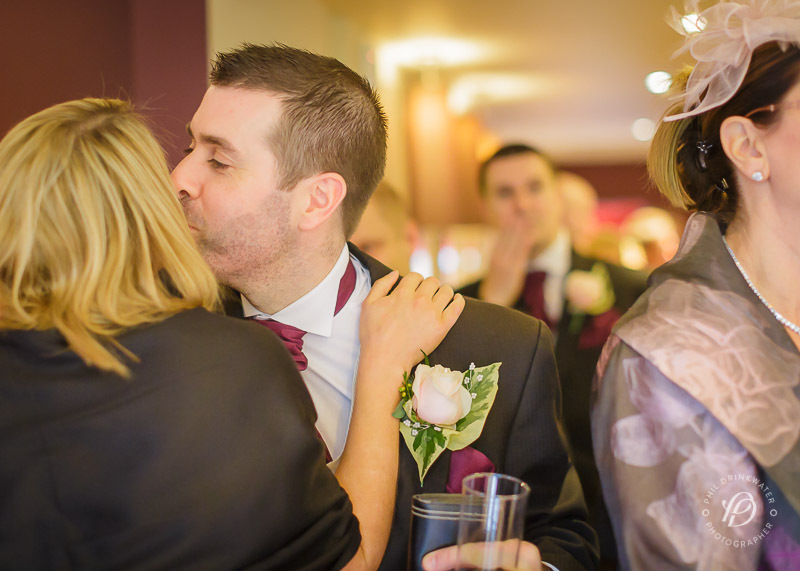 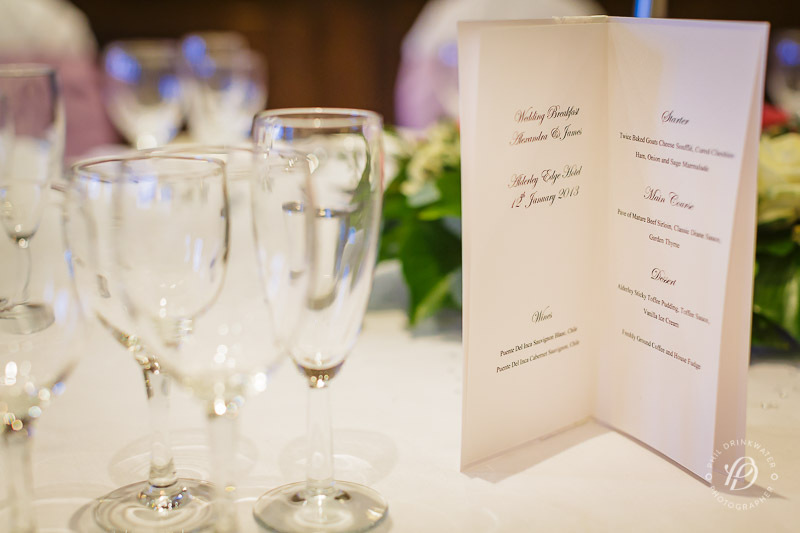 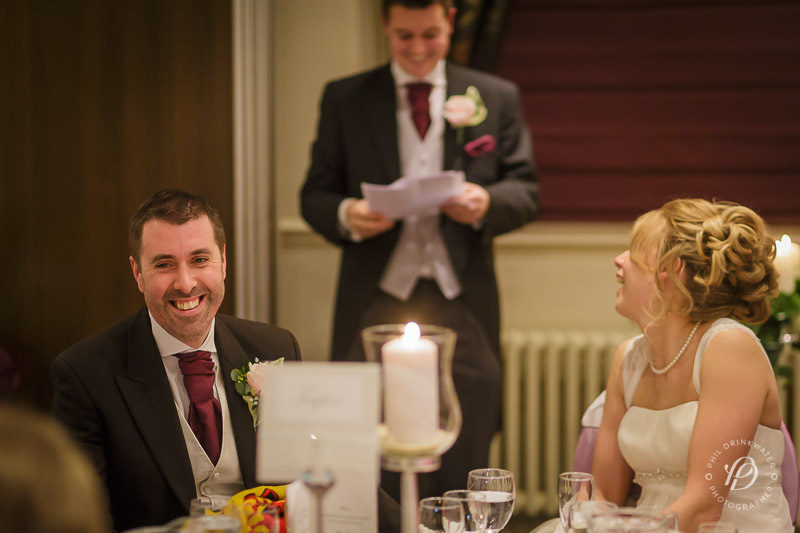 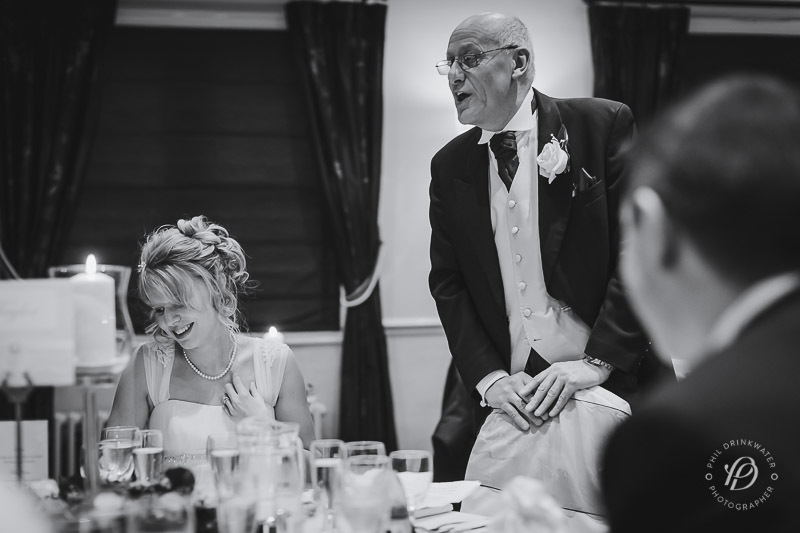 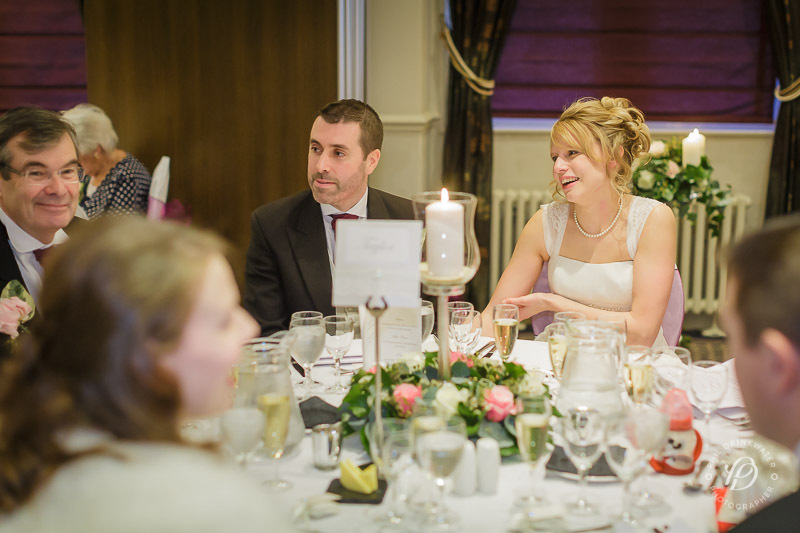 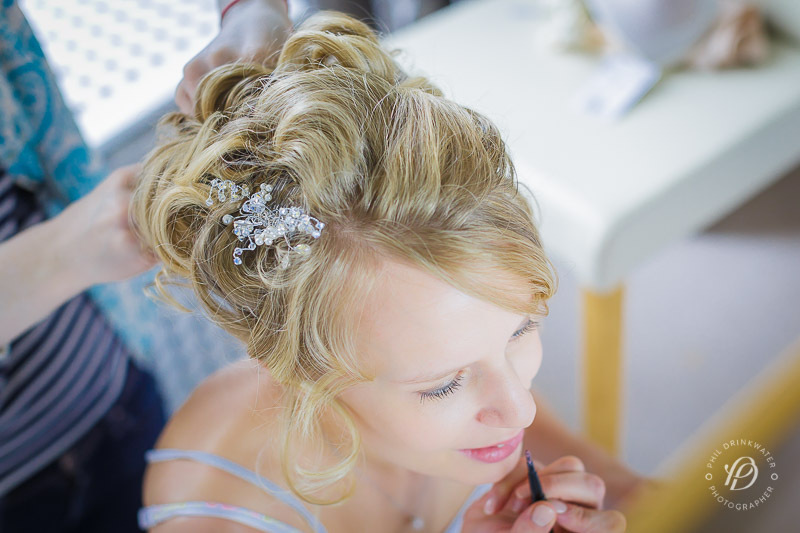 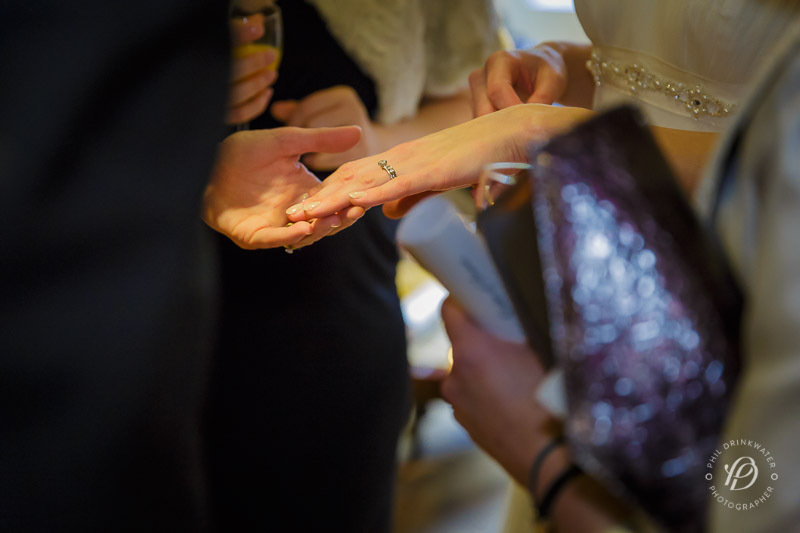 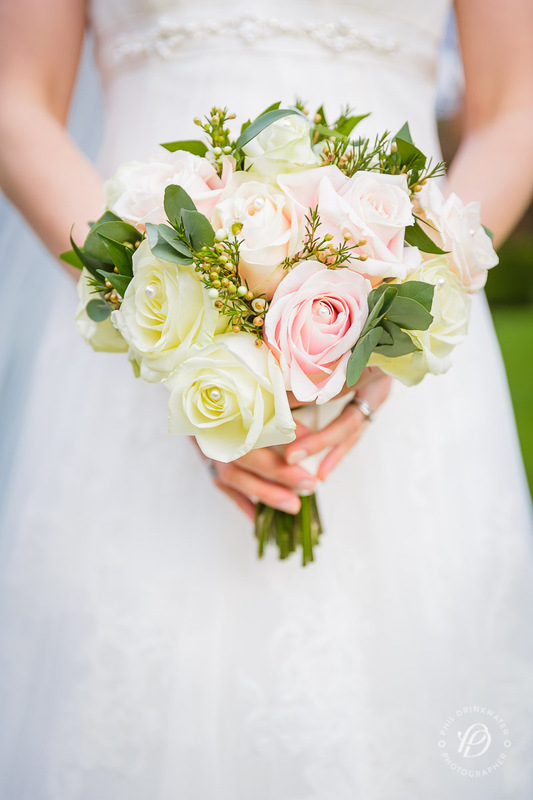 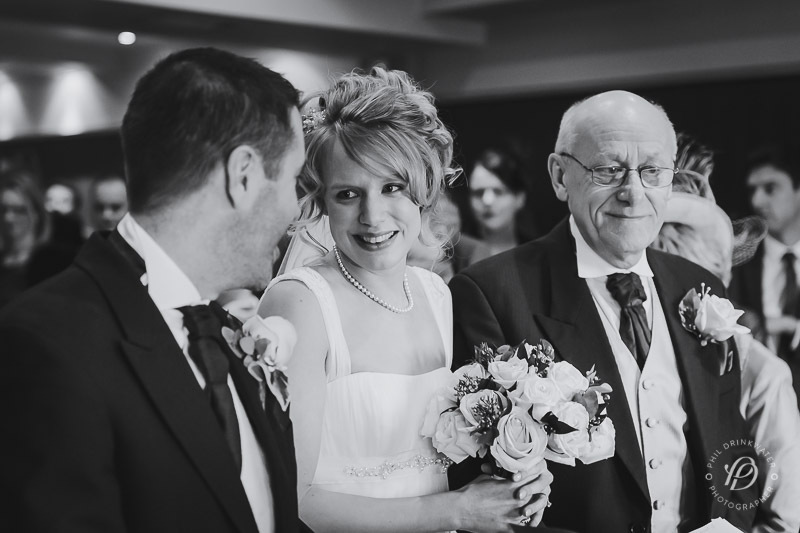 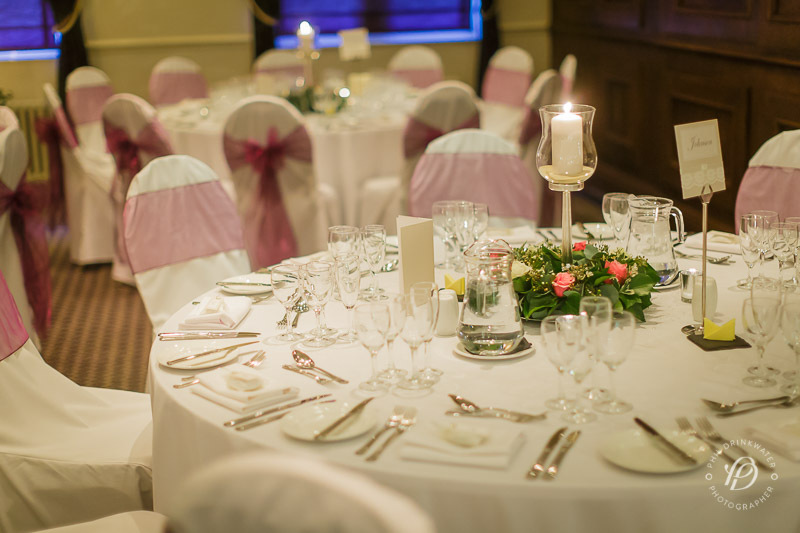 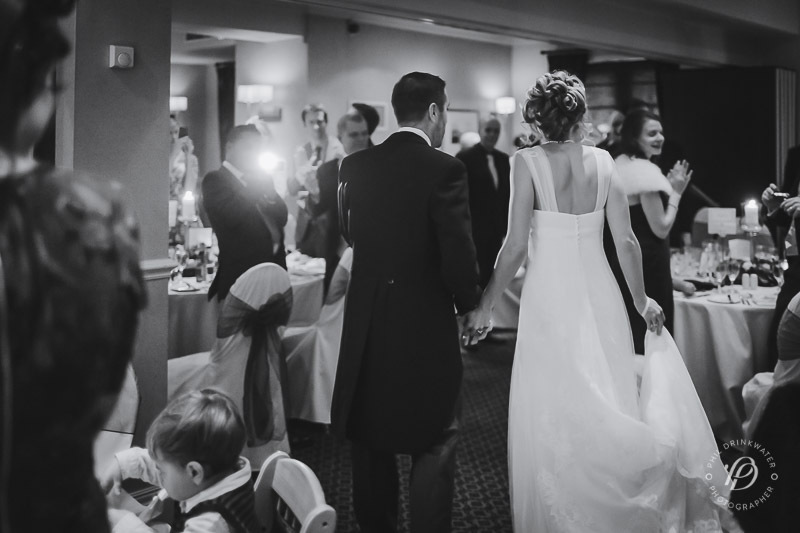 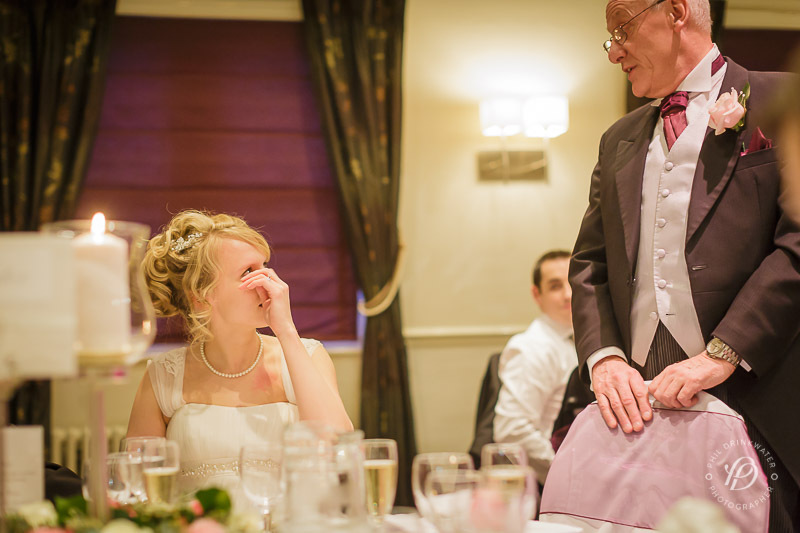 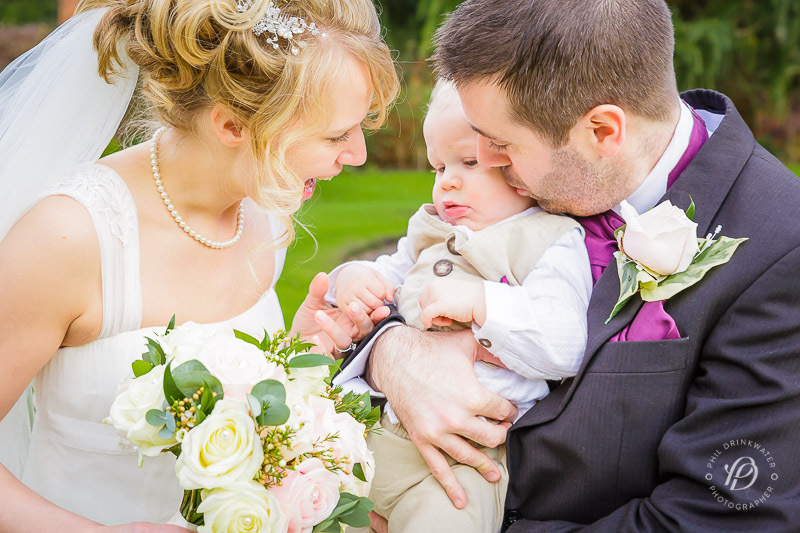 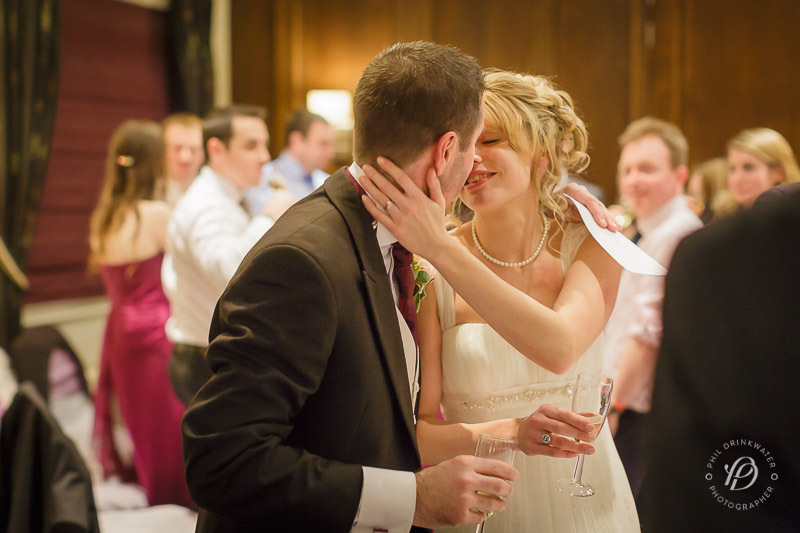 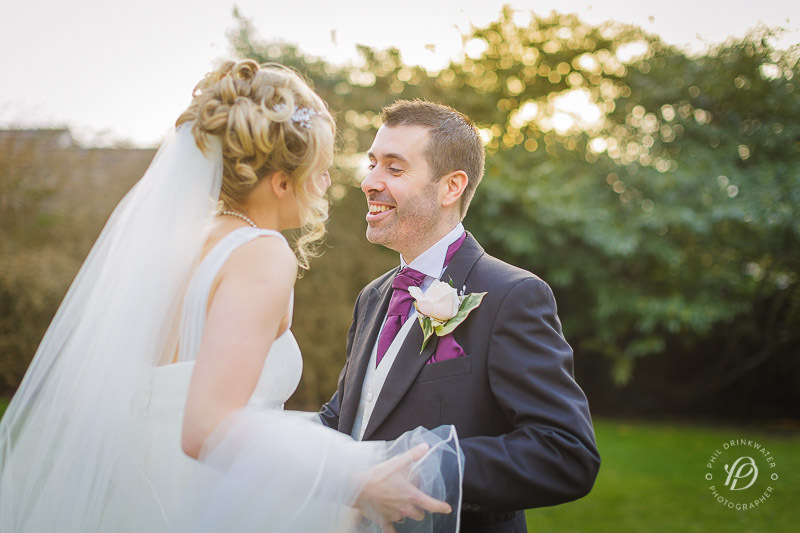 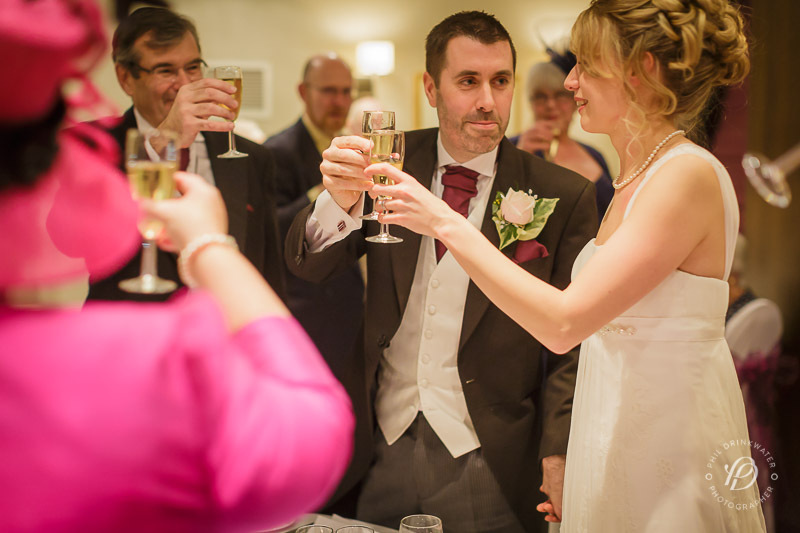 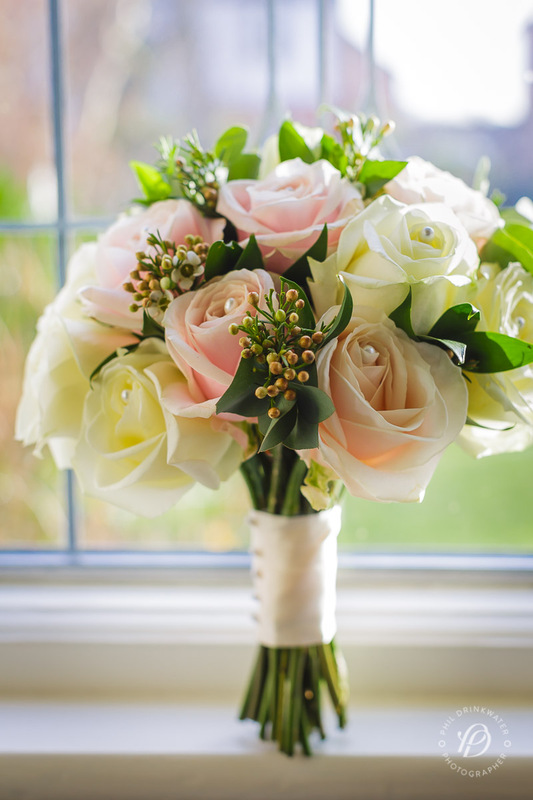 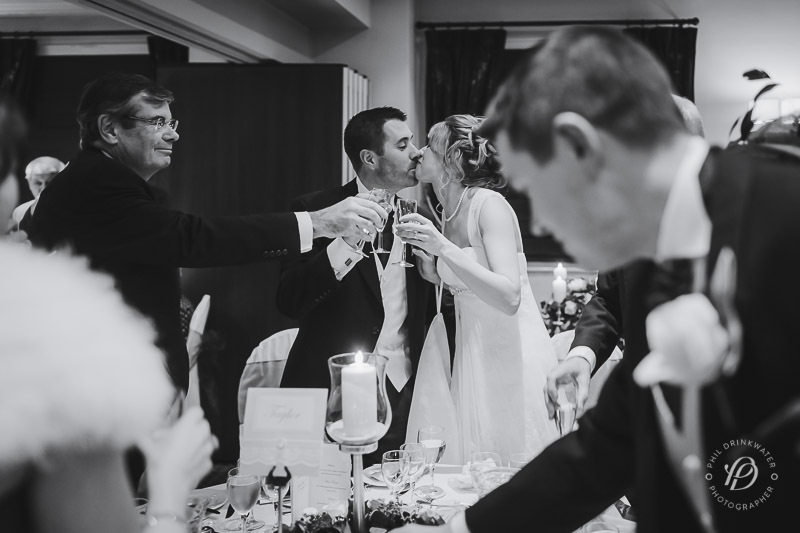 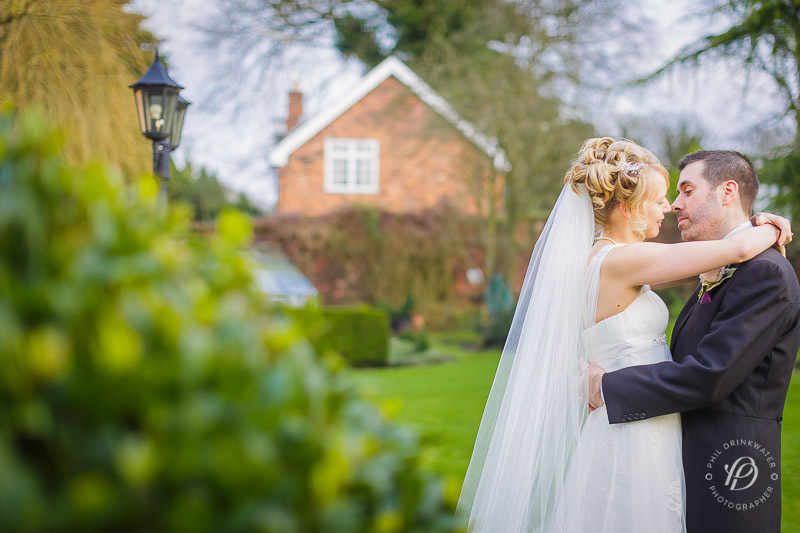 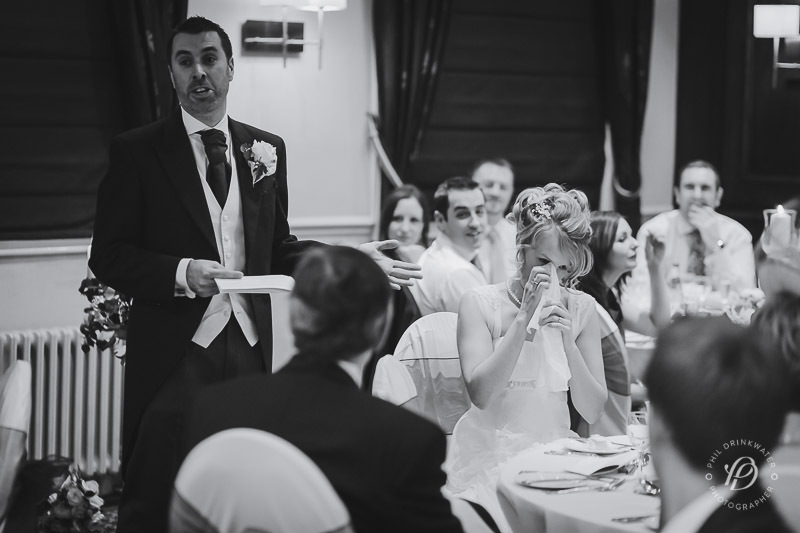 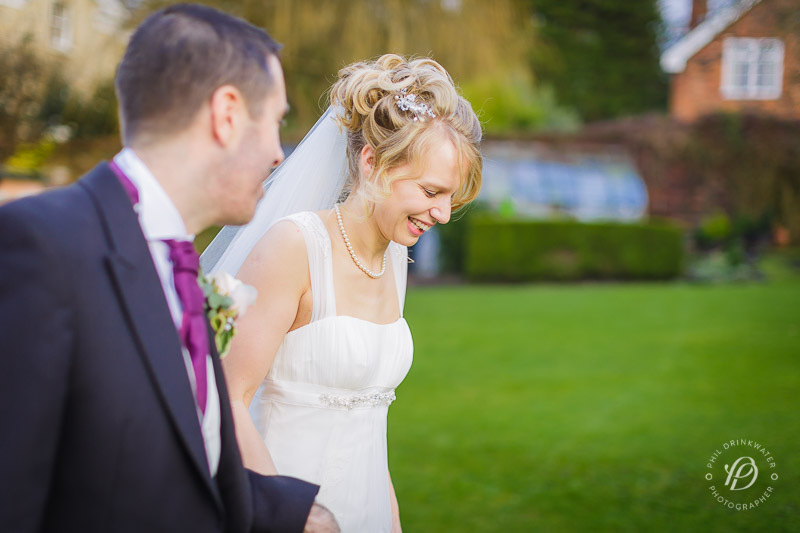 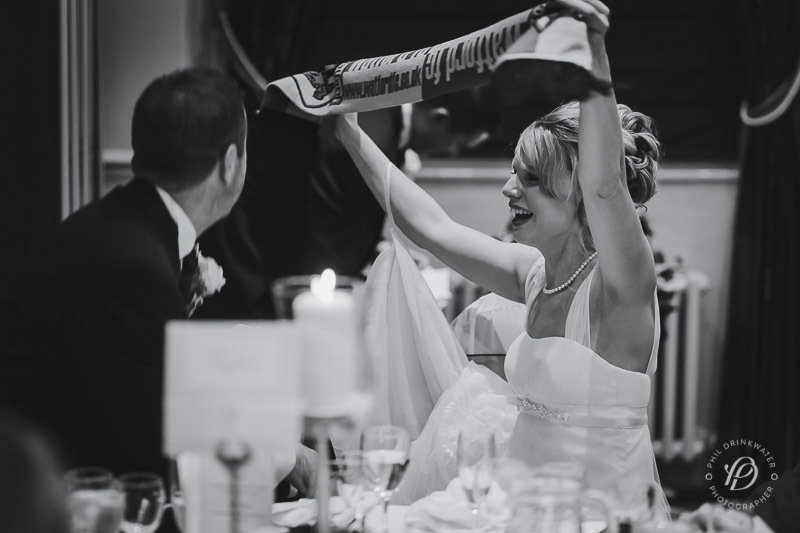 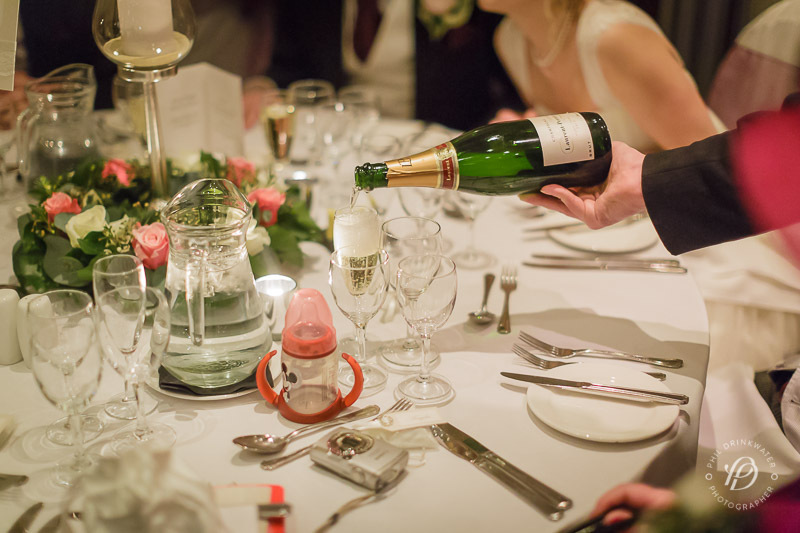 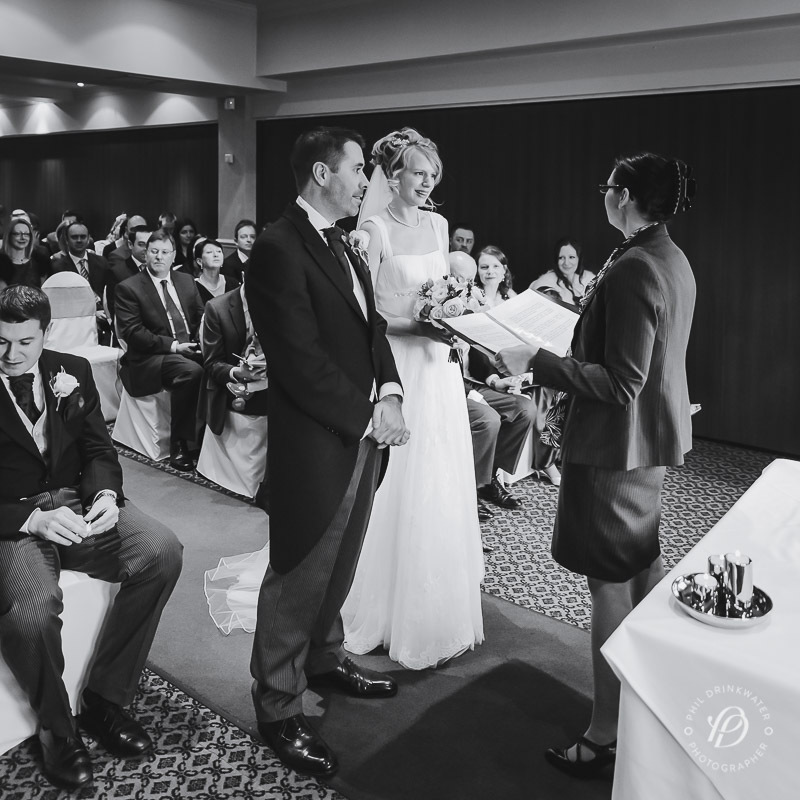 Alexandra & James were married on a cool winters day at the Aderley Edge Hotel in mid Cheshire. 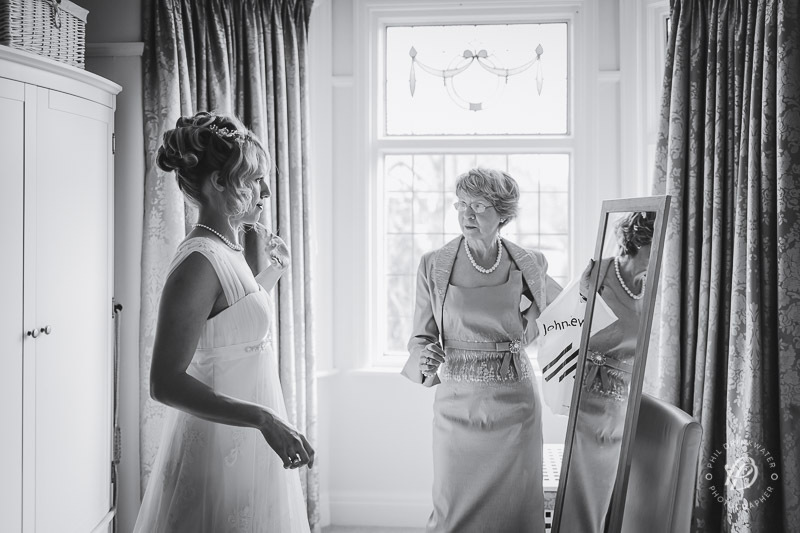 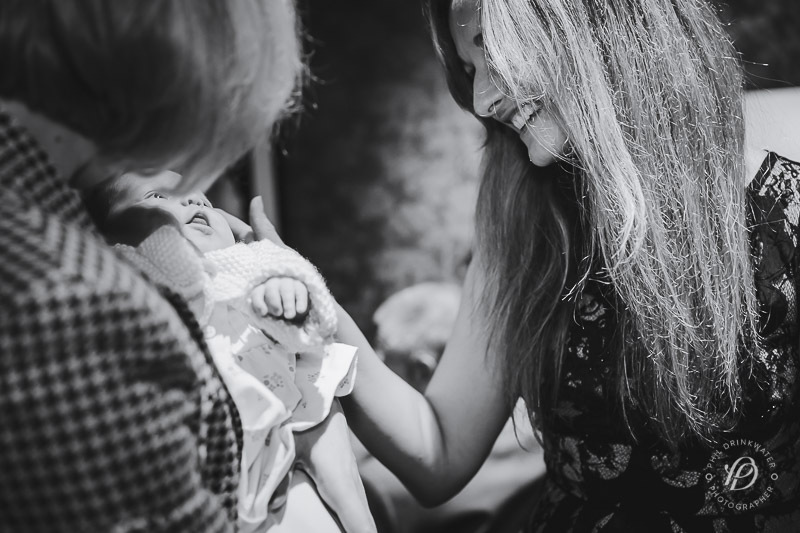 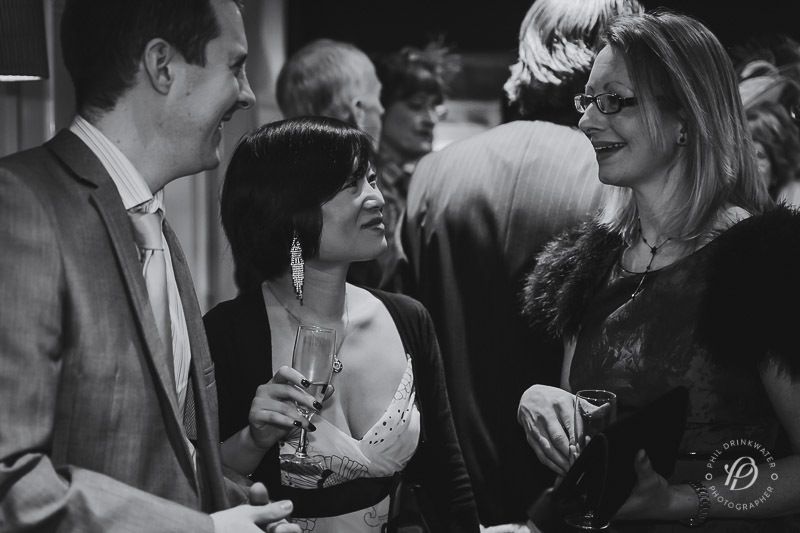 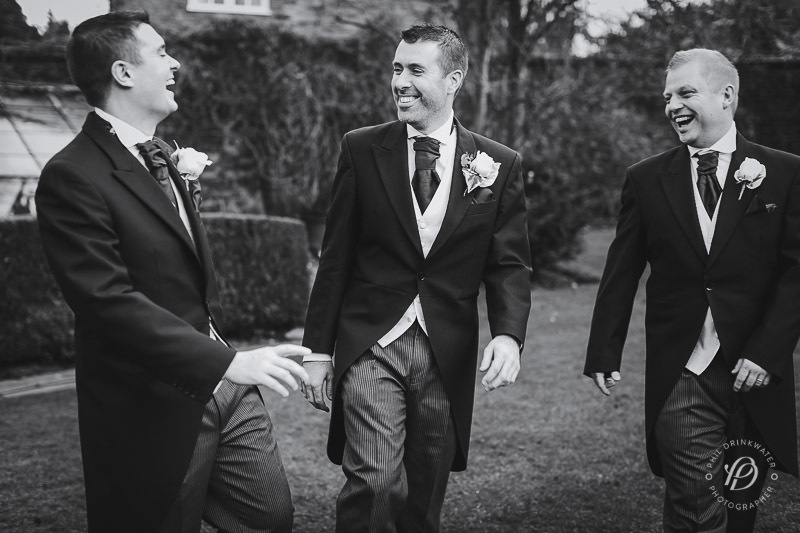 They’d invited all of their closest friends and family and there was a feeling of union around the room which made for some fantastic reportage photography, which was the style they were particularly keen on. 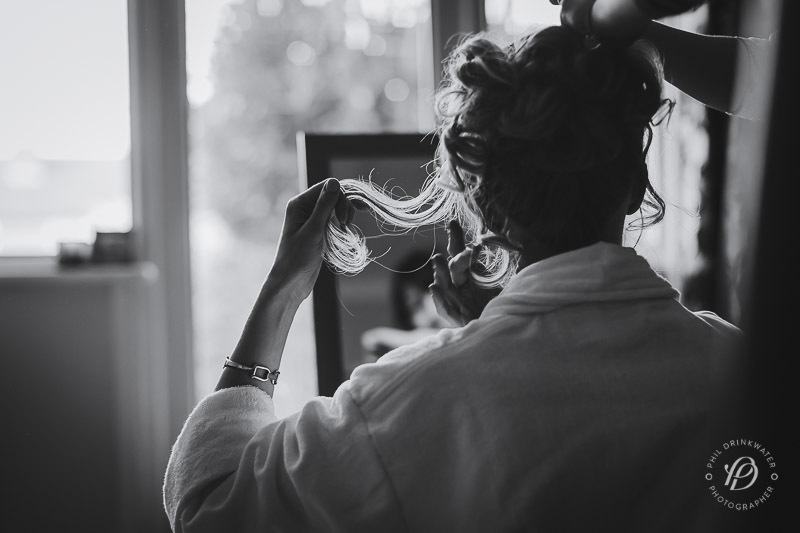 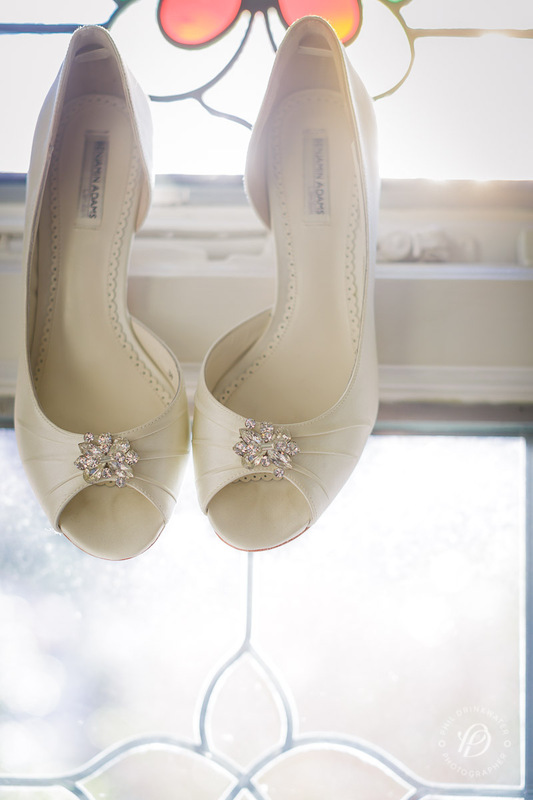 Alexandra’s morning started with the buzz of preparation at their home. 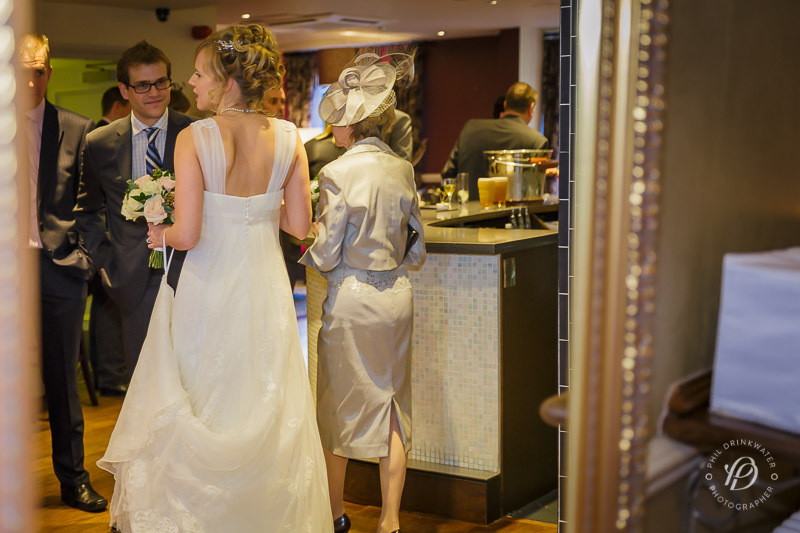 At the venue her guests had arrived and were relaxing at the bar before the ceremony. 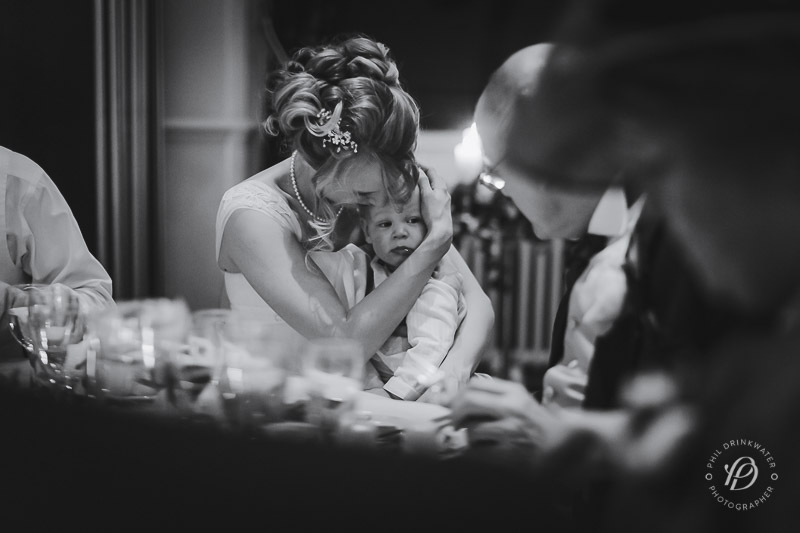 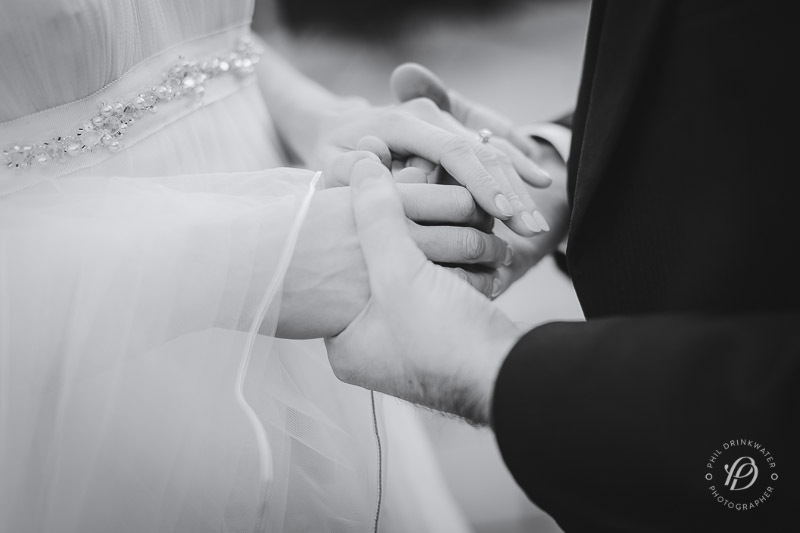 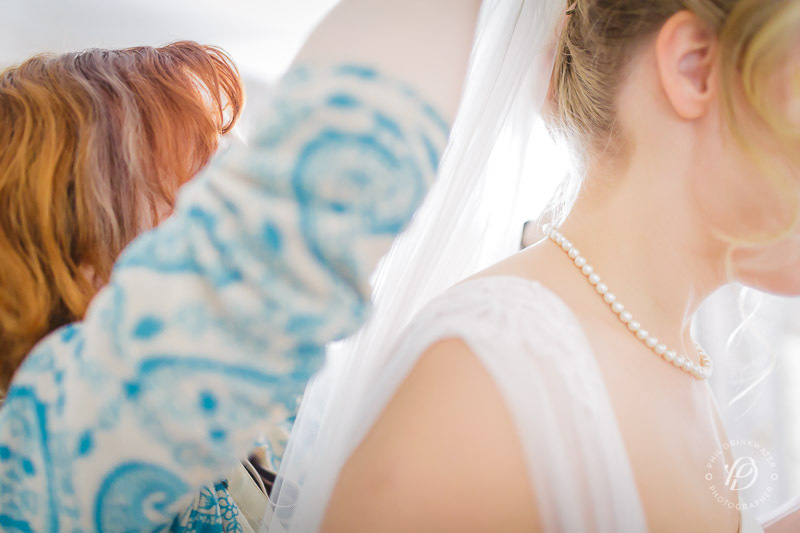 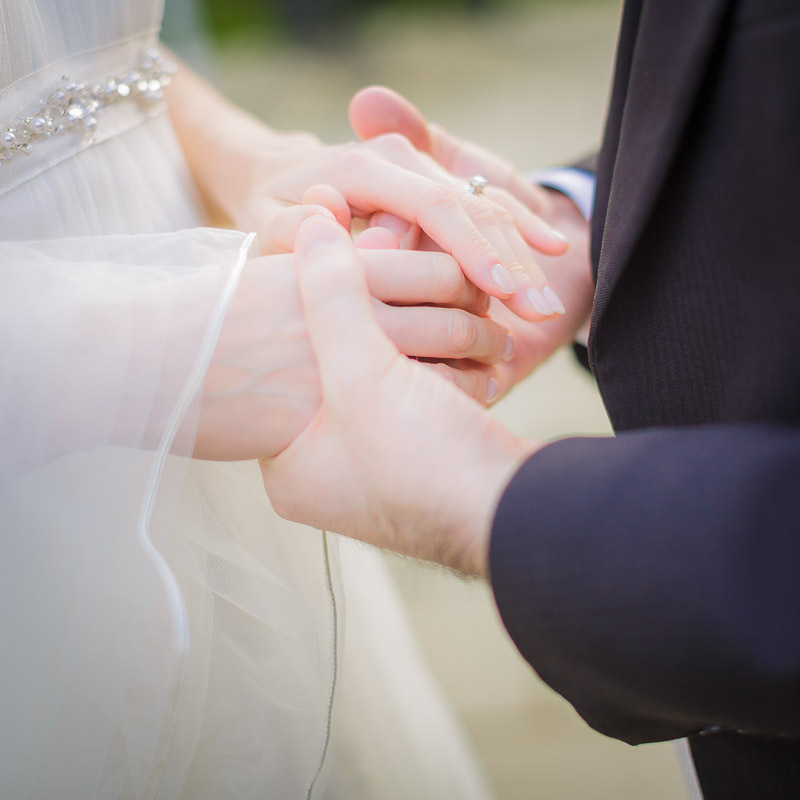 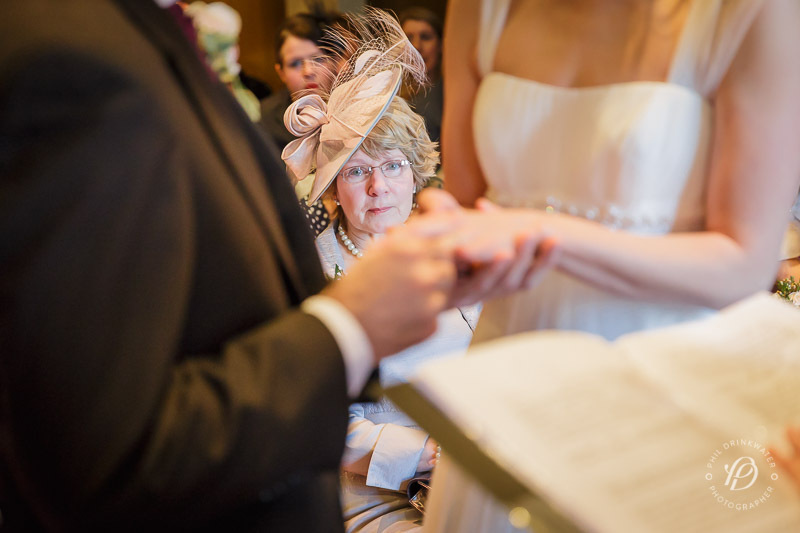 Alexandra took an emotional walk down the aisle and met James for the first time that day. 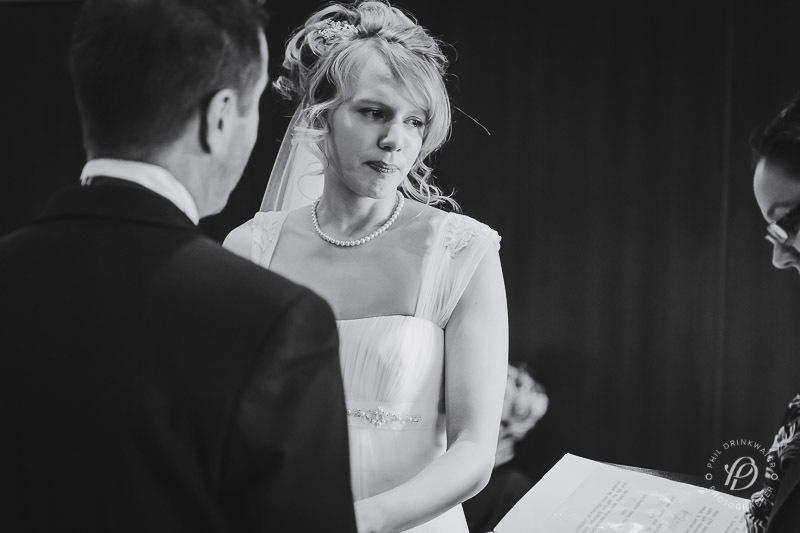 And then they were married. 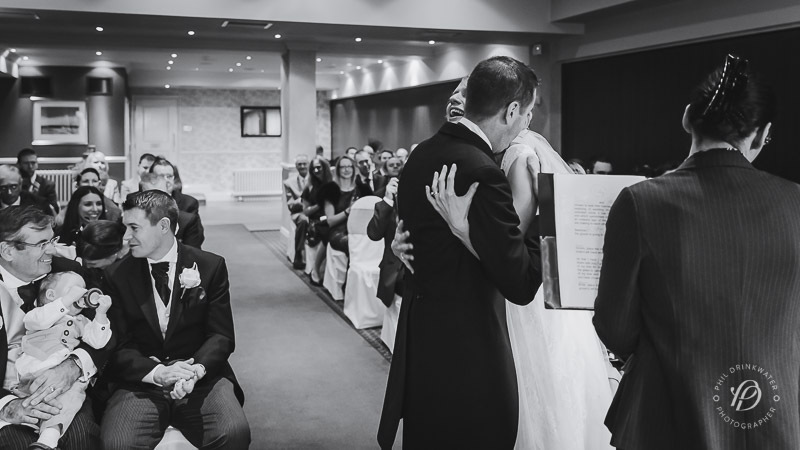 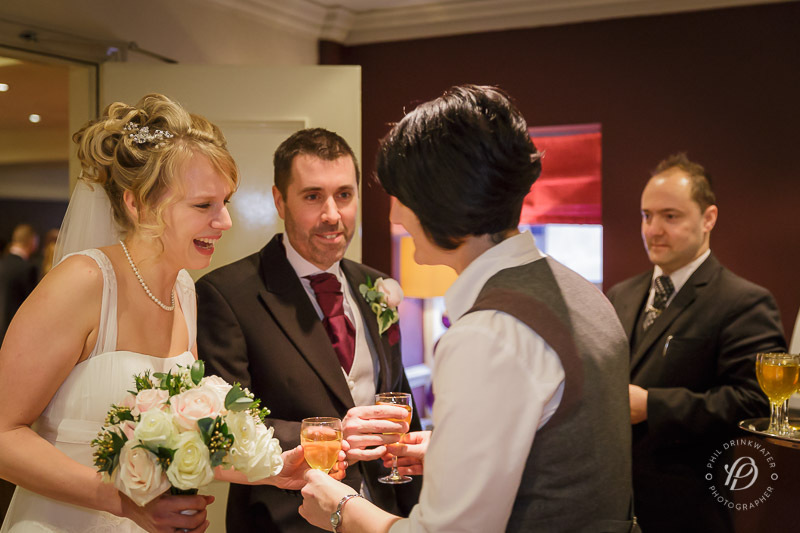 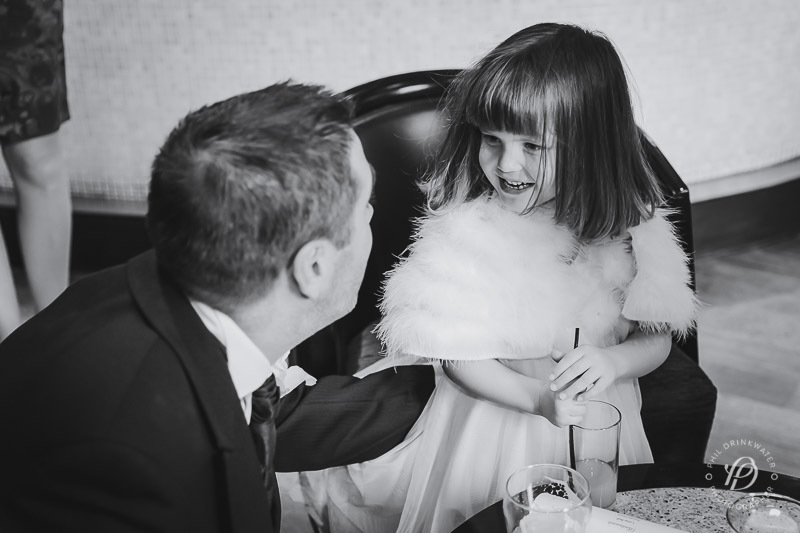 As it was a cool winters day, their friends and family chatted inside and enjoyed meeting up again with people they’d not seen for years – a great part of weddings. 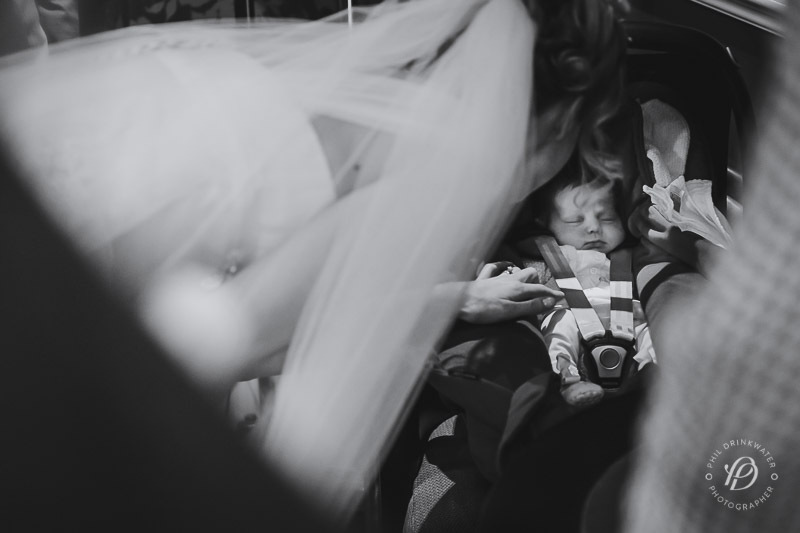 The couple braved the cold to take some beautiful pictures outdoors which showed how much the day meant for them and also how much their child completed their family.